Taco Marine. New Video Alert: Introducing TACO Poly Accessories! New Video Alert: Introducing TACO Poly Accessories! 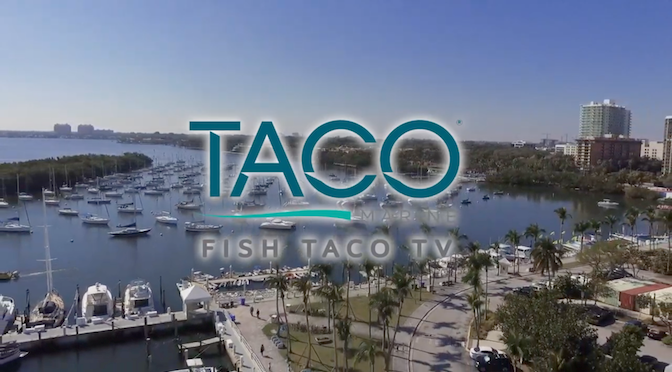 Ahead of the 2019 Progressive Miami International Boat Show, we debuted a new episode of FISH TACO TV featuring our popular line of Poly Accessories! 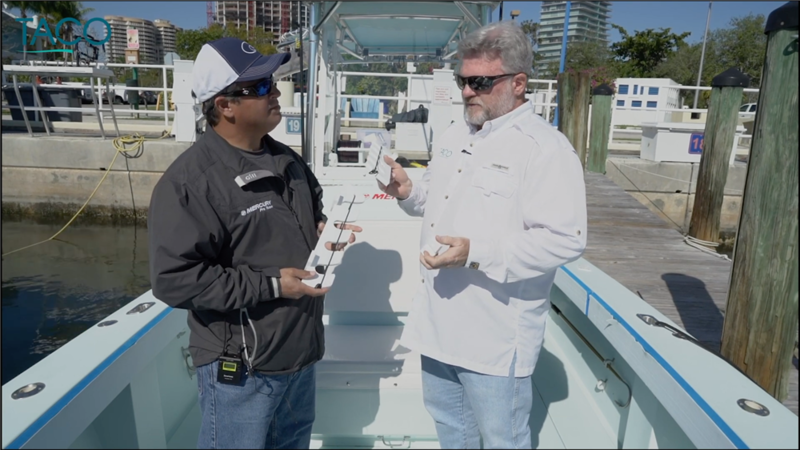 In the video, Captain Mark Henderson from the Liquid Fire Fishing Team and Captain Orlando Muniz from Nomad Fishing Charters explain the features and benefits of some of our most popular Poly products, including the convenient Adjustable Poly Filet Table, Poly Tumbler Holders and Knife & Plier Holder. Henderson starts off the video with our immensely popular Adjustable Poly Filet table, which is available in both 20" and 32", and easily mounts into standard rod holders. A great cutting surface is critical when spending a day fishing and that's why we created the Adjustable Poly Filet Table. Henderson said this products ensures fishing enthusiasts aren't cutting bait on gunnels, cooler tops or live well lids. 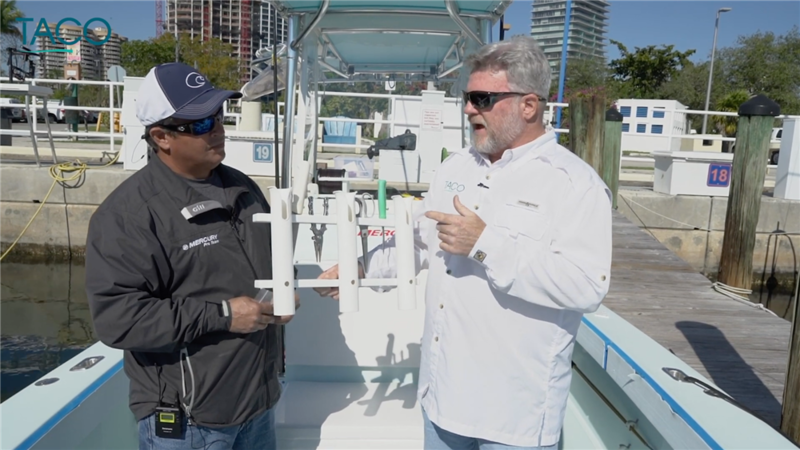 "The gimple part of it is adjustable, [so] you can use any type of rod holder, which makes it ideal," added Muniz. "At the end of the day, you can just fold it back and put it in one of your storages." The next products the captains discuss is the 1- and 2-Tumbler Poly Holders, which hold up to 32-ounce tumblers and feature a cell phone holder and charging slot. 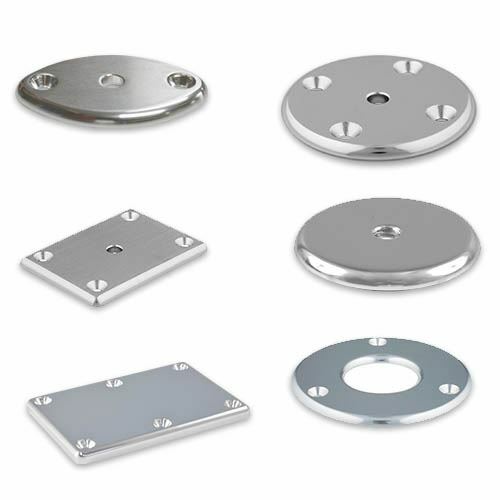 The Tumbler Holders are manufactured with strong suction cups, which mount to a variety of surfaces, such as consoles and hatches. 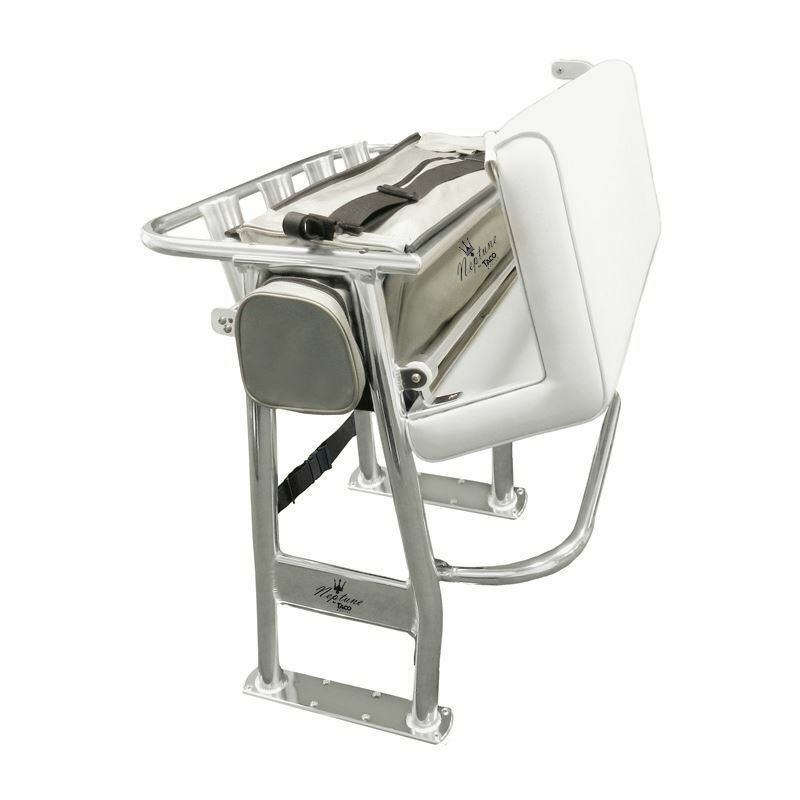 For boating and fishing enthusiasts, the Tumbler Holders securely mount to the boat, but are also easy to clean, will not fade, mildew or mold and can be moved or stored when not in use. 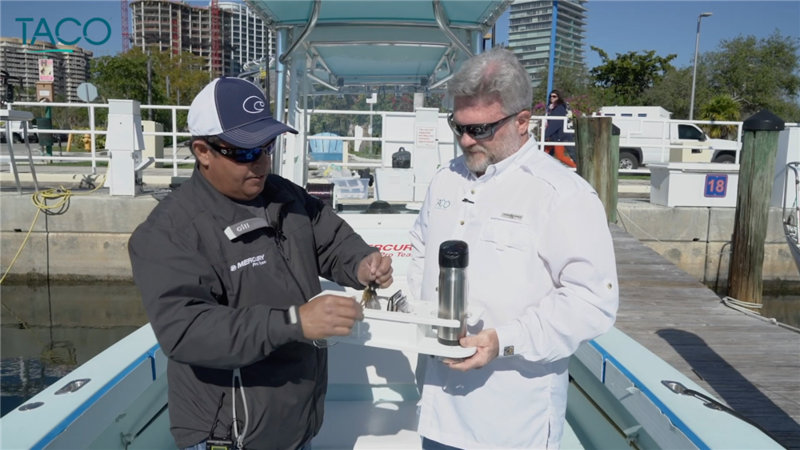 For smaller drinks or areas on a boat where space is a premium, Henderson and Muniz also showcase our line of 1- and 2-Drink Poly Holders and the 2-Drink Poly Holder with Catch All. These lower-profile drink holders also feature strong suction cup mounts and are made from the same durable, anti-fungal polyethene that will not fade, mildew or mold.  The Catch All is super convenient for boaters who need a secure place to store smaller items, such as wallets, keys, or other knick knacks. 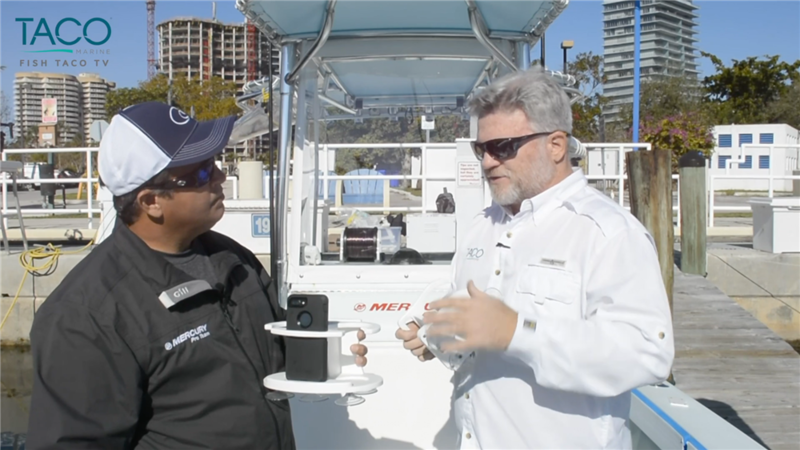 "We could put a box of hooks, your wallet, your keys and just keep everything accessible without it falling over, falling on the deck or getting your things wet," said Muniz of the Catch All. The next product discussed is the Knife, Plier & 15-Rig Holder, a convenient solution for organizing critical tools onboard. "It does a great job of storing exactly what it says," said Henderson. "You can't be too organized or have these things close to hand enough. For anglers looking for a safe, secure place to store sharp knives and pliers, we also have the Knife & Plier Holder, which holds two knives and pliers or scissors. "Safety can't be too important," added Henderson. 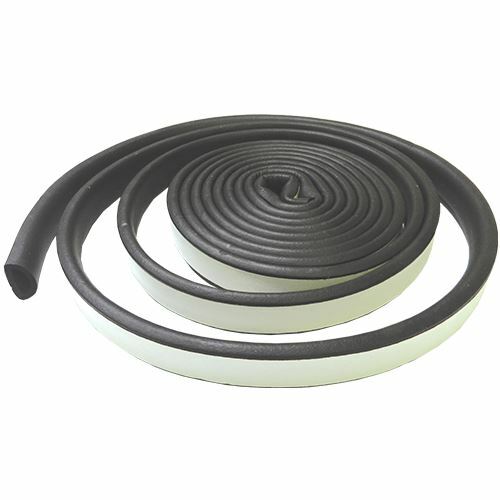 Available in black or white is our Deluxe Poly Rod Rack, which comes in 2-, 3- or 4-Rod versions. It's unique slotted design easily accommodates spinning rods. What makes the Deluxe Poly Rod Rack extra special is its storage options for knives and pliers – optimzing space and safety onboard. 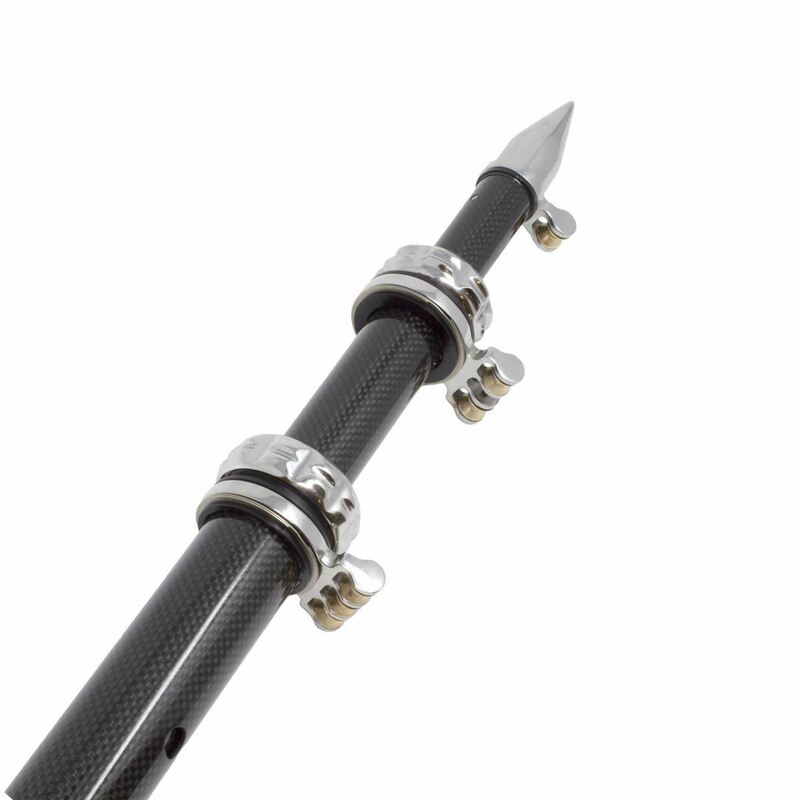 Available in doubles, triples and quads, the Bungee Rod Holder is fantastic for optimzing rod storage on a boat. 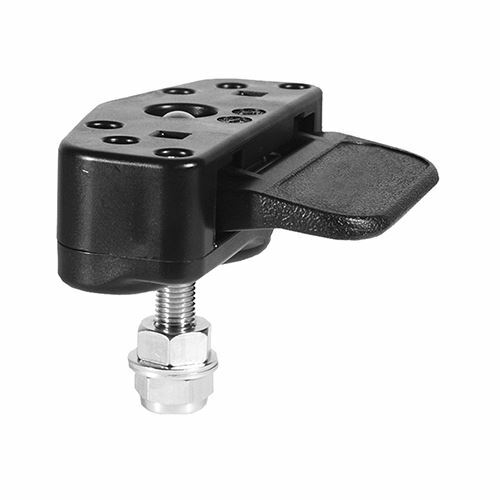 It can easily be mounted against the hull under gunnels, inside storage compartments, interior cabins or even in dry-storage locations, such as a garage. 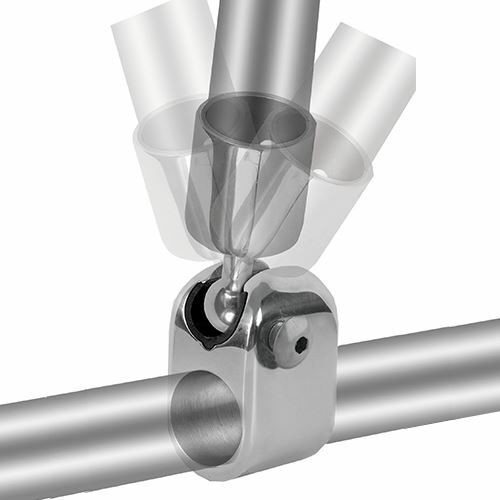 The Bungee Rod Holders come standard with a bungee cord that secures rods in place. "This thing is awesome," said Henderson. 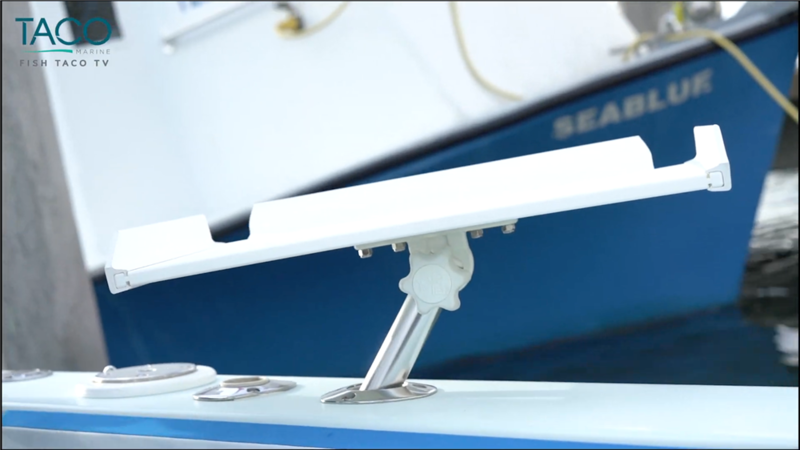 "I've seen these on a lot of boats that are manufactured. The cool thing about it is it's got a poly bracket, which you can mark your exact location, you slide it right on to this unit [and] you secure it wherever's best for your particular application. 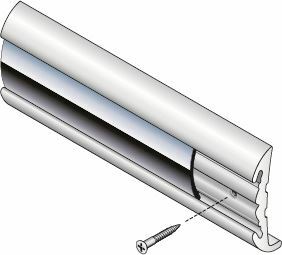 It's already got counter-sunk holes [and] stainless-steel screws are included in the kit as well." 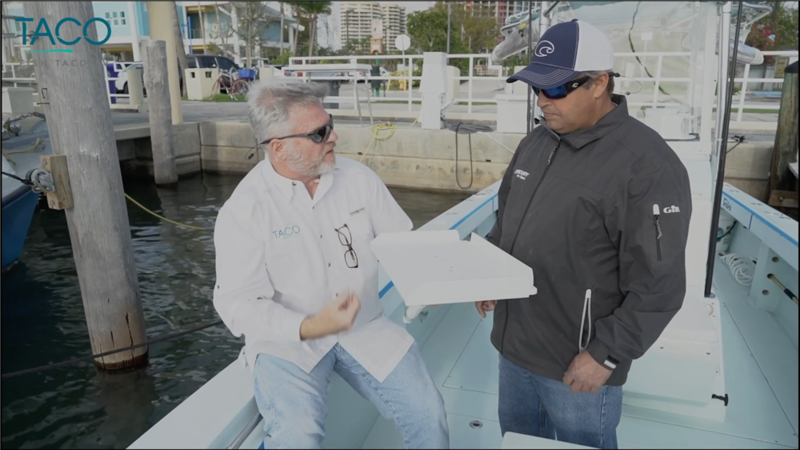 The last product featured in our video is the Dockside Filet Table, which is made from extremely durable, lightweight, marine-grade polyethylene starboard material that will not discolor, crack, mildew or absorb fish odors. 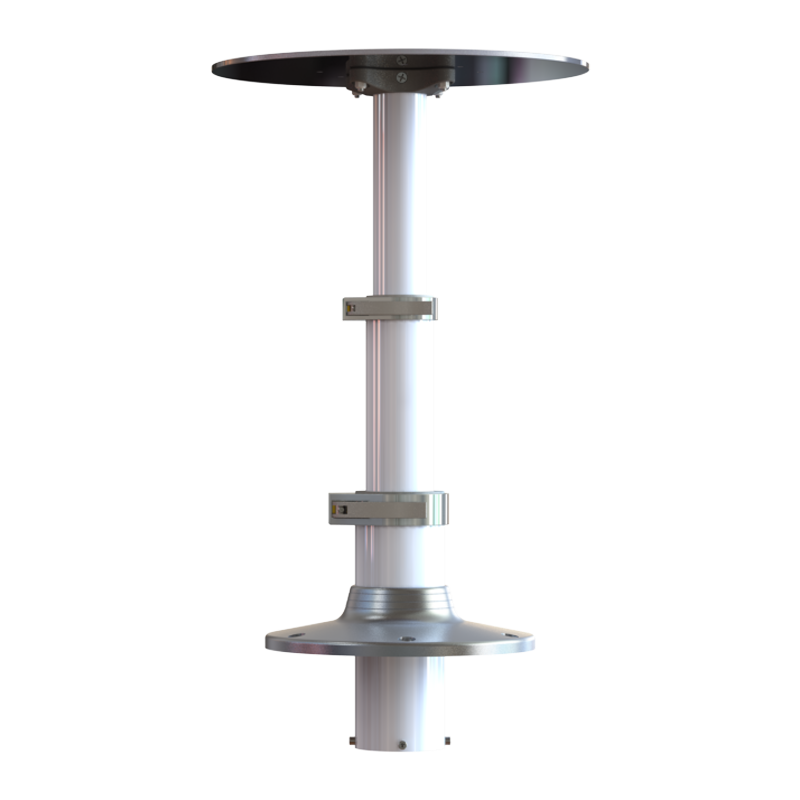 The FDA-approved polyethylene table is manufactured right here in the USA and comes with brushed aluminum legs for stability. 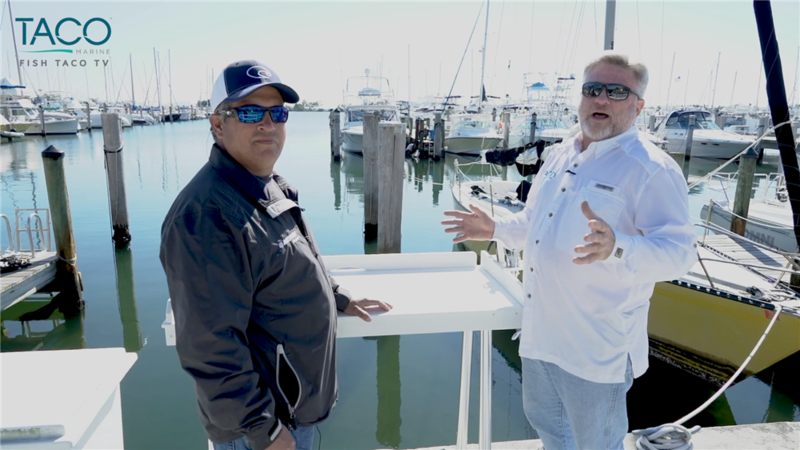 This is the perfect dockside filet table for fishing enthusiasts and charter captains. "It's got areas where you can flush all of the fish waste right out," Henderson said. 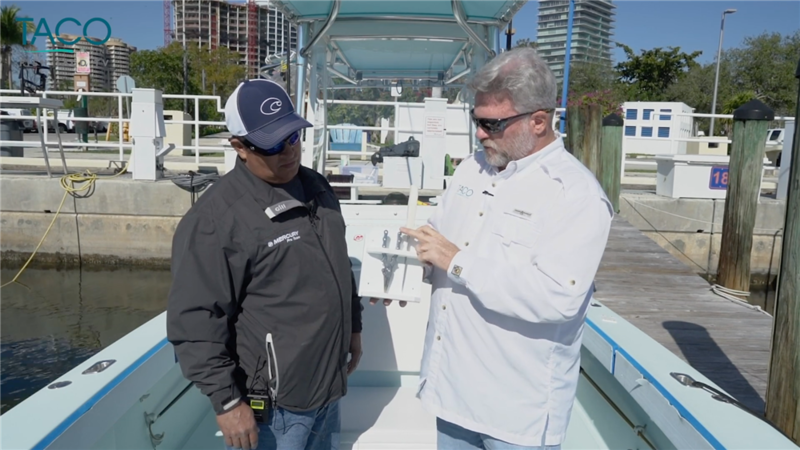 "You normally want to put it right close to the edge of the bulkhead, going back into the water so that everything stays really clean." 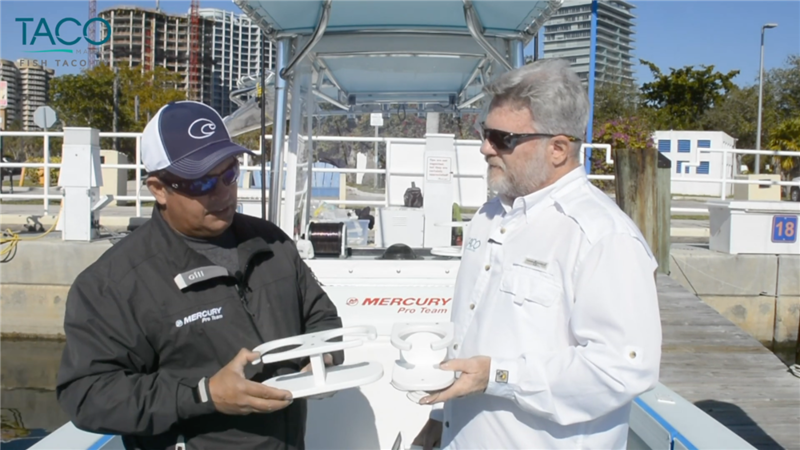 We'll be showcasing our popular line of Poly Accessories at the 2019 Progressive Miami International Boat Show in booth C199. Also, select retailers at the show will have these products for sale. Discover this great video and much more on our YouTube channel. Also, stay up to date on everything TACO Marine by following us on Facebook, Instagram, Twitter and LinkedIn. 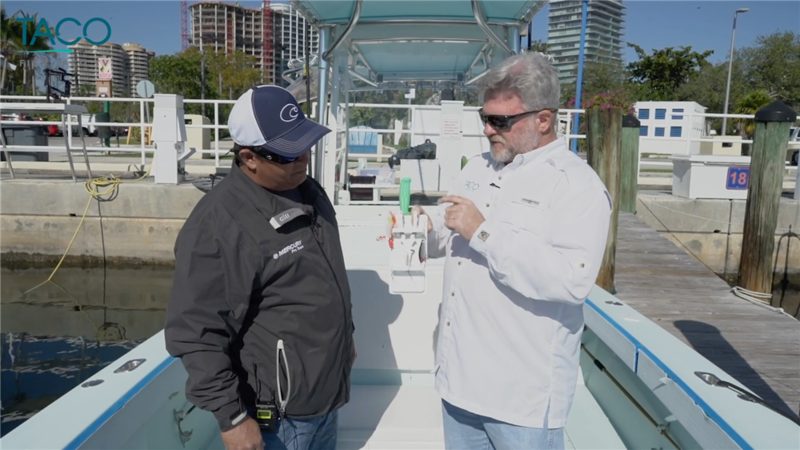 The Future is Now: Introducing the GS-1000 Electro-Hydraulic Outrigger Mount!